A living room is a showcase of our taste and preferences. Apart from furniture, upholstery, colours and décor, lights also form a very crucial part of our living room interiors. With the advent of modern lighting system, you can choose to highlight or subdue arenas in your living room as per you requirement. Proper lighting may enhance the dimension of your room. Different hues can be created with multi-color lighting which you can choose to change as per your mood or situation. Generally a standard living room ranges from 150 sq ft, while a medium size living room is about 220 sq ft and considerably a large living room is of 300 sq ft or more. 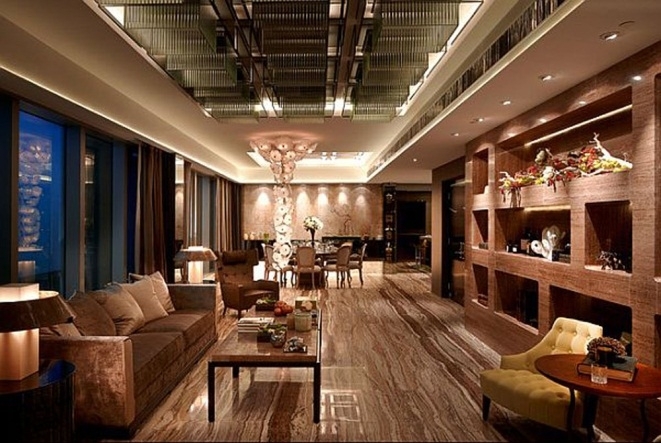 So for a living room, you generally require a 100 to 200 lux, and in activity areas, such as a bar, or a table or sofa, or the art pieces or décor which you wish to highlight you might need about 300 to 400 lux.